(L-R)Consultant Alec Woods, Captain Tevita of FMA, FMA Trainees Paulini and Malakai and Vilisoni of WWF-Pacific. 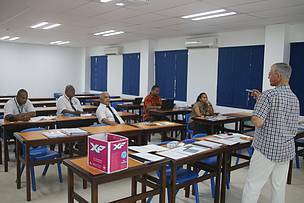 “Fiji wants to demonstrate to the market place that Tuna sourced from its longline fishery had been done in a way that is responsible. So I am here to assist FMA to build training capacity so that they can train new crew and officers in protected species bycatch mitigation techniques. 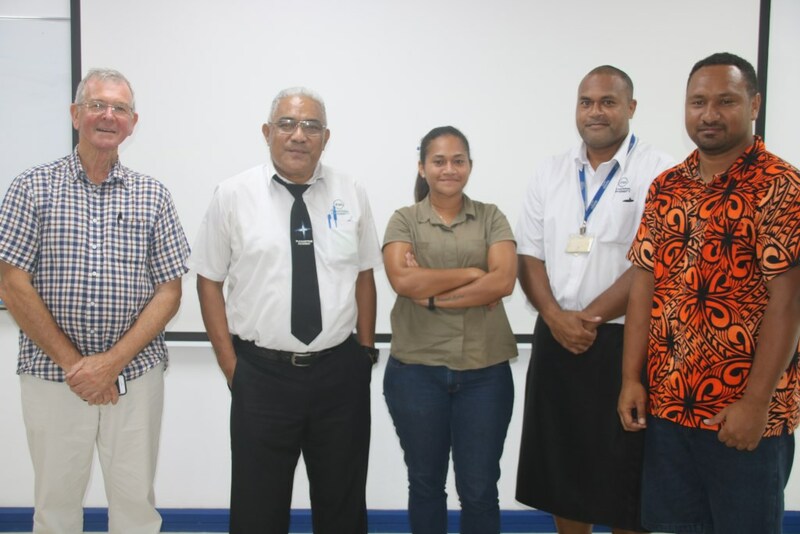 This work involves collaboration between FMA, WWF-Pacific and the Ministry of Fisheries,” said Pacific Networks Limited Director and consultant, Alec Woods. Also part of this project collaboration is the Fiji Fishing Industry Association. 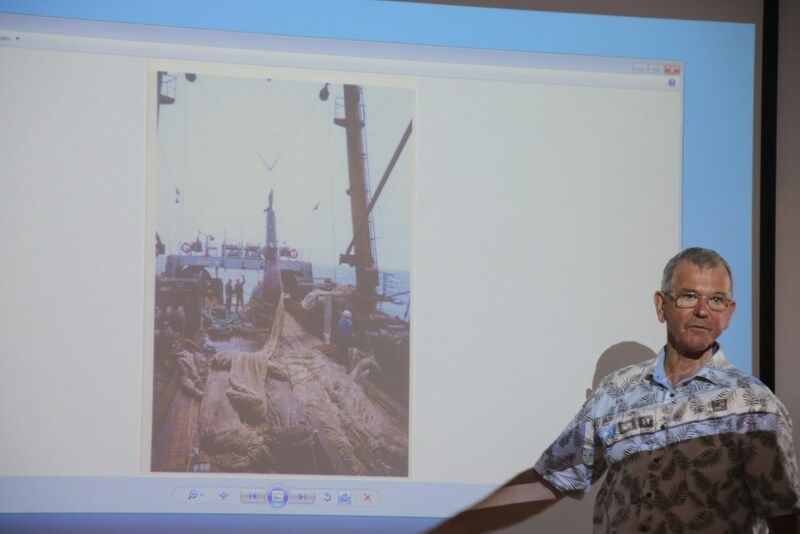 As part of the bycatch component, WWF-Pacific has recruited NZ-based fisheries training consultant, Alec Woods, to prepare a bycatch module that will be incorporated into both programmes. The fisheries training consultant is also carrying out a two day bycatch capacity training with FMA instructors who will teach the Deck Hand Fishing and Offshore Fishing Skipper Programmes when semester one begins next month. 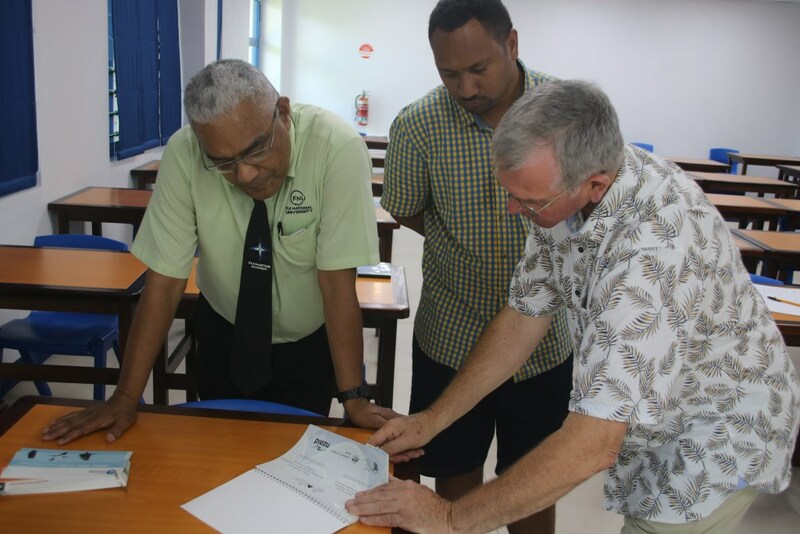 This is made possible through WWF-Pacific’s ‘Developing Sustainable and Responsible Tuna Longline Fisheries in Fiji’ project that is funded by New Zealand Aid’s Ministry of Foreign Affairs and Trade (MFAT) and coordinated through WWF New Zealand. Fisheries consultant Alec Woods leading a presentation with FMA staff. 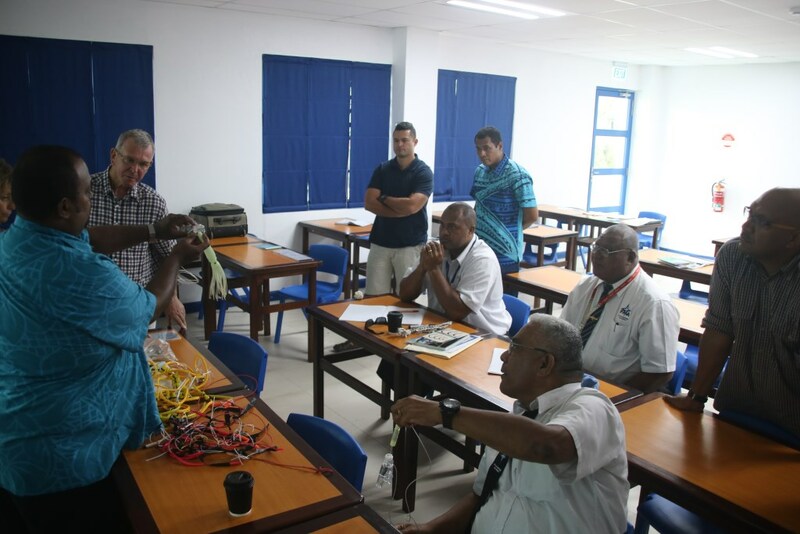 FMA and WWF-Pacific participants going through troll line presentations with Birdlife. Consultant Alec Woods leading a discussion on bycatch processes. (L-R) FMA's Captain Tevita Robanakadavu, WWF-Pacific's Vilisoni Tarabe and consultant Alec Woods discuss learning materials.